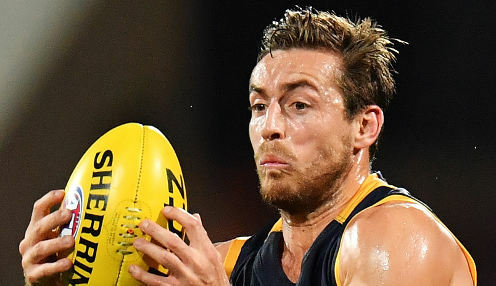 Adelaide have lost defender Tom Doedee for the rest of the season after he suffered an ACL injury in their 32-point opening-round defeat to Hawthorn. Doedee ruptured the ACL in his left knee while trying to tackle Jarryd Roughead early in the second quarter at Adelaide Oval. We start the season with high hopes and we lose a player of Tom's ability. The 22-year-old, who was runner-up in last year's AFL Rising Star award, said: "I just felt it pop, ran down to the pocket and thought I might go off and see how it is and they thought the worst." Crows coach Don Pyke said it was a big disappointment to face the rest of the campaign without a player who had been outstanding last year. "We start the season with high hopes and we lose a player of Tom's ability, and a great player that people love watching play, but we'll have to find someone to replace him," he added. Kyle Hartigan and Andy Otten are possible replacements for Doedee narrowly missing selection for round one. The Crows will need to wait until the middle of the week to find out how seriously veteran midfielder Richard Douglas is hurt. The 32-year-old was forced off the ground in the fourth quarter with a syndesmosis injury to his right foot - the same injury that sidelined him last year. The two injuries made it a triple blow in round one for the home side, who went down 12.15 (87) to 7.13 (55). Adelaide's chances of victory receded in the third term when they kicked just 0.2 to the Hawks' 3.7. James Worpel finished with two goals and 27 possessions for Alastair Clarkson's side, who have now won 11 of their last 12 meetings with the Crows. Adelaide are 21/20 to win their next game against Sydney, who are 4/5. The Crows are 91/100 conceding a 1.5-points start.